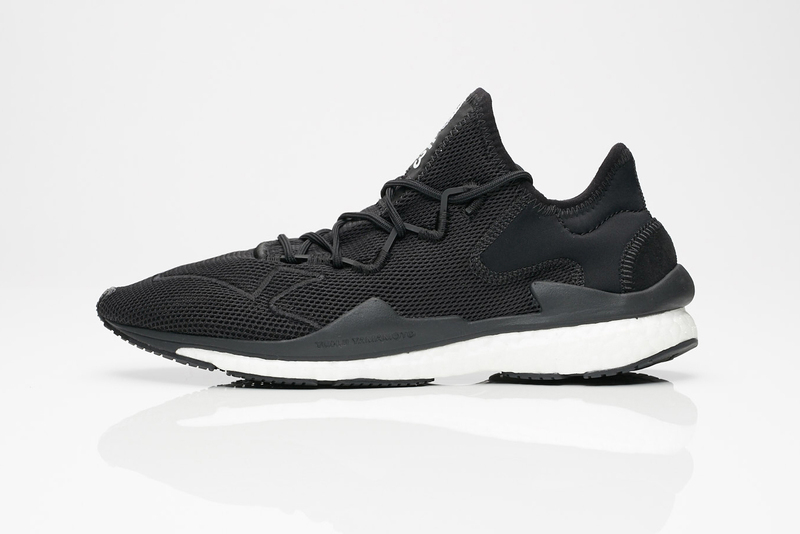 adidas and Yohji Yamamoto‘s Y-3 combine their technologies and design elements for the latest running sneaker, this time under the adizero label. While this is not the first Y-3 Runner to exist, the latest edition under the adizero moniker assists in incorporating sports functionality to the stylish low-top. The design cues on the above pair incorporate a mix of materials — mesh and neoprene along with hard plastics and adidas’ proprietary BOOST technology — with swatches that fuse and come together in dynamic shapes and corners. A TPU lacing system binds the sneaker with the foot, despite being a sock-like one-piece upper. Lastly, a flexible torsion system is found on the outsole to provide grip and everlasting durability. the adidas Y-3 adizero Runner is available now from retailers like Sneakersnstuff for $299 USD. Y-3 also released a new version of its more complex Harigane model in a clean white/yellow/red iteration.